Businesses will spend less on data centre systems this year, than they have spent in the previous ten years. This is according to a new report by Gartner, which says the data centre systems segment is about to experience a 2.8 per cent decrease. This is mostly because of the lower average selling prices in the server market, which came as a result of the adjustment in the pattern of expected component costs. However, all things considered, the cloud is still eating away the traditional enterprise IT spending. 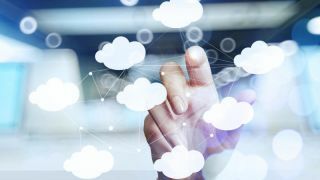 Cloud-based ‘alternatives’ to traditional offerings are expected to reach $427 billion as a market, up 7.1 per cent, compared to the same period last year, when it hit $399bn. The largest shift happened in application software, but Gartner believes infrastructure software segment will follow suit sooner, rather than later. Looking at the market in general, IT spending is expected to rise 1.1 per cent compared to last year, and hit $3.79 trillion.